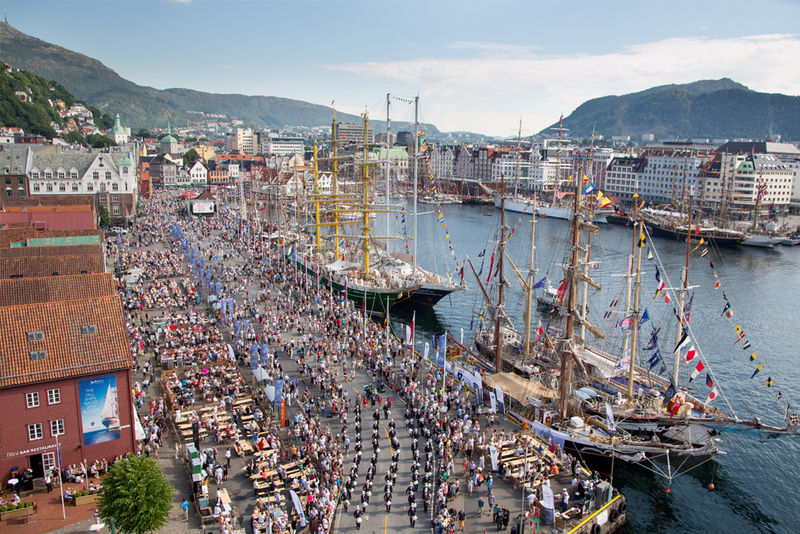 Host ports are integral to the success of any Tall Ships event. Sail Training International organises races and events for sail training Tall Ships in many parts of the world and while these events may celebrate an anniversary or other event, the core reason for them remains the education of young people through the sail training experience. The biggest single event we organise is the summer series in European waters for young people, The Tall Ships Races. The Tall Ships Races are planned four years in advance with the route carefully selected to enable visits to different sea areas around Europe, from the Baltic to the Mediterranean. Other Regattas are organised in close coordination with the ports involved. Once Sail Training International has selected the sea area all the relevant ports in that region are invited to bid to be a host port. There are many economic, social and community-oriented reasons why a port may bid to become a Host Port for The Tall Ships Races. Traditionally, huge crowds (from many hundreds of thousands to well over a million) visit a port during the four days of the event, bringing welcome income to the port, city and local businesses, plenty of national and international media attention, and a range of opportunities for community involvement and enjoyment. Contracted Host Ports are invited to log into their own area of this website for additional resources including current branding guidelines, manuals and economic impact reports. List of ports that have hosted the races from 1956 to the current year. List of Tall Ships entries by year.